ABC is the commandline interface for working with appbase.io. Download from github or get the Docker Image. Run 'abc COMMAND --help' for more information on a command. The app command also has a flag --creds for viewing the app’s credentials and a flag --data-view to open the app’s data in the data browser. Finally, let’s create a new app, we will call it abc-demo. Deleting is pretty nifty too with delete, BE CAREFUL as it doesn’t require a confirmation before deleting an app. Last but not least, the import command allows importing data from sources like Postgres, MongoDB, MySQL, SQL Server, JSON and CSV into your appbase.io app. Here is an example import command showing data from MySQL being imported to an appbased.io app. abc import --src_type=mysql --src_uri="USER:PASS@tcp(HOST:PORT)/DBNAME" "https://USER:PASS@scalr.api.appbase.io/APPNAME"
import uses the --src_type and --src_uri switches to set the source database. It takes a required destination URL for the appbase.io app (or Elasticsearch index) into which the data is being imported to. 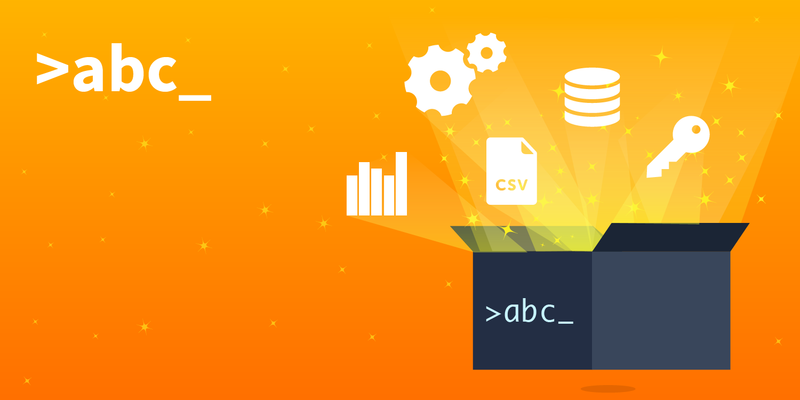 You can follow this step-by-step guide for importing data from MySQL. Since the import command can do so many things, we have a dedicated post explaining how it works.